Presented by Chris Smith, Dominic Ford, Kat Arney. In a world first, a functioning liver has been grown from stem cells by scientists in Japan. Thousands of livers are transplanted each year, but many patients sadly still die before a suitably matched organ can be found. Now scientists have taken the first steps down a road that could see doctors using a person's own cells to grow a replacement liver. Yokohama City University scientist Takanori Takebe and his colleagues used human skin cells that were first reprogrammed to turn them into iPS or induced pluripotent stem cells. Incubating these cells in a culture dish in a cocktail of growth factors and alongside a second population of blood-vessel-forming stem cells, enabled the researchers to mimick the environment that triggers the liver to form in the early embryo. The result was a ball of cell resembling the "liver bud" that gives rise to the future liver. Tests on the growing tissue showed that it was producing chemical markers and patterns of gene activity characteristic of mature liver cells. Implanted into test mice, the liver buds quickly plumbed themselves into the local blood supply and continued to develop. Examined under the microscope two months later, the tissue structurally resembled mature liver, and was producing high levels of albumin, an essential blood protein, 45 days after implantation. In a further test of the tissue's function, the researchers also administered to their test mice drugs that are metabolised differently by human and mouse livers. Blood samples collected subsequently showed human-specific metabolites, proving that the implanted liver tissue was working. The team also tested whether their replacement livers could replace an animal's own organ. 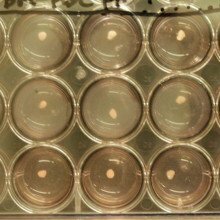 By implanting their human liver replacement tissue into mice genetically programmed to develop failure of their own livers, the Japanese team were able to show survival rates three times higher than in control animals that did not receive replacement liver tissue. In concluding their paper, published in Nature this week, the scientists say, "our study demonstrates proof-of-concept that organ-bud transplantation offers an alternative approach to the generation of a three-dimensional vascularised organ. These results highlight the enormous therapeutic potential using in vitro-grown organ-bud transplantation for treating organ failure." Your guts are home to millions and millions of tiny bacteria, which make up your gut microbiome. Most of them are what you might call "good" bacteria, helping you to digest your food and stay healthy, but there's a huge range of different bugs, and each one of us has our own personal 'signature' of gut bacteria. Researchers are getting very excited about our gut bugs, as they influence our immune systems and could hold the key to understanding many human diseases, and even lead to ways to treat or prevent them. This week, researchers in the US led by Jeffrey Gordon have published a new method for identifying the range of bacteria in the gut, through DNA sequencing. So far they've only used the technique to study a handful of people, but the results so far are fascinating. 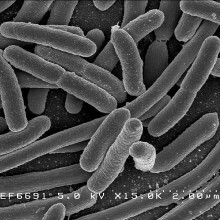 Writing in the journal Science, the team found that the signature of different bugs in your gut is probably remarkably stable over many years, even though we're exposed on a daily basis to a huge number of different bacteria. 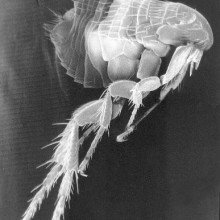 The team also found that family members share quite a few types of bugs in common, suggesting that the colonisation by bacteria starts early in life and stays quite stable as time goes on. Intriguingly, when a group of four unfortunate overweight volunteers went on a liquid-only, low-calorie diet for several weeks, the scientists found that their gut bacteria changed quite dramatically as they lost weight, with different types becoming more or less common. The new findings help to reveal more about the murky bacterial world in your bowels, and provide a powerful new method for studying it. The researchers even suggest that an analysis of you personal bacterial signature - obtained from a poo sample - should be part of everyone's yearly medical checkup. Wildfires are started after a period of hot dry weather converts green vegetation into a fuel source for a fire to spread, all it needs then, is a spark. 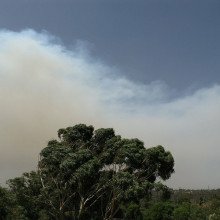 Up to 80% of wildfires are caused by humans - either through arson, or poor fire management such as unattended campfires or even just a discarded cigarette. Natural triggers, such as lightning or even sparks caused by rockfalls can also start a fire. Once started, a fire's spread will be affected by the weather, the wind and the amount of fuel in the surrounding area. 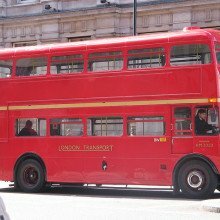 Under the right conditions they can move at a speed of up to 14 miles per hour. When a fire starts we can tackle it by using aeroplanes and helicopters to drop large amounts of water or flame retardant chemicals, including phosphate fertiliser, over the blaze to try and slow it down. On the ground, firefighters also spray the fire with water or chemicals including phosphate fertiliser. Firefighters can also try and reduce the amount of fuel available to keep the fire burning - by creating a 'fire-break', removing vegetation in order to contain the fire. They can also reduce the available fuel by starting back-fires - fires which burn towards the wildfire - using up any potential fuel in their path. Some people think that by stopping small-scale wildfires in their tracks quickly we might actually be making fires more dangerous. It stops small fires clearing old dry material from forests which can lead to an accumulation of fuel and a worse fire in later years. Nuclear fallout from Cold War nuclear tests could help to identify poached ivory. Poaching of elephant tusks and rhino horns is at an all time high, according to a CITES report released last year, with about 30,000 elephants killed each year. 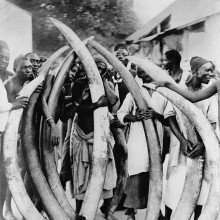 But taking tusks for ivory hasn't always been illegal - a global trade ban only came into effect in 1989 - so when those policing the ban seize an ivory artifact, they need to know when it was actually taken from the animal. That's where the fallout comes in. It helps with a particular type of radiocarbon dating, which relies on measuring the concentration of carbon-14, a radioactive isotope with a half life of about 5,700 years. Carbon-14 is produced when energetic neutrons hit nitrogen atoms; normally, these neutrons are produced when cosmic rays smash into our atmosphere. Plants absorb that radioisotope along with the carbon dioxide they take in. Once they die, the radioactivity slowly dies away as that stock of carbon-14 decays. Measuring where a piece of plant matter is on the decay curve allows you to calculate its age. There's generally an uncertainty of a few decades on samples younger than 10,000 years, and you need various fiddle factors in there to get a reliable answer, not least because of human activity skewing carbon-14 concentrations. The nuclear bomb tests of the 1950s and 1960s, for example, threw lots of hot neutrons into the atmosphere that almost doubled carbon-14 levels. Now scientists led by Kevin Uno at Columbia University have proved that you can get accurate dates on relatively recent material by doing radiocarbon dating from the bomb curve itself. Publishing in PNAS, They took 29 samples of hippos teeth, elephant tusks, and hair, that were collected on known dates between 1905 and 2008 in East Africa, and measured the levels of carbon-14 using accelerator mass spectrometry. They calibrated the results against the detailed measurements of carbon-14 made around the world since those bomb tests. This allowed them date any tissues formed after 1955 to within a year or so - in some cases, within 4 months. This could form part of a suite of tools in 'wildlife forensics' - such as DNA analysis - which is helping to pinpoint exactly where and when a piece of ivory was actually taken. And it also provides valuable evidence to shore up prosecutions. Those involved in stamping out ivory poaching need all the help they can get. That illegal trade is estimated to be worth $5-10 billion per year, and it has grown markedly since 2006. The new H7N9 influenza virus identified in China poses a high risk to humans, researchers are now warning. 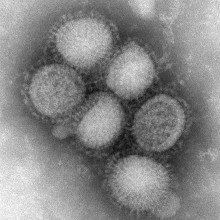 National Institute for Viral Disease Control and Prevention scientist Jiangfang Zhou and his colleagues have discovered that the newly-emerged flu strain, which has so far caused 132 confirmed human infections, 39 of them fatal, and was detected for the first time in February of this year, can bind equally well to the respiratory tissues of people and birds. This makes transmission and further human adaptation significantly more likely. And because, further tests have confirmed, vaccination against - or even infection with - seasonal human flu strains confers no protection against H7N9, this means that the potential to trigger a pandemic with a significaint mortality rate is very high because the majority of the world population is vulnerable to infection. To reach their conclusions, the Chinese group compared how tightly H7N9 flu can bind onto a chemical called sialic acid, which is present on airway tissue. In humans, sialic acid is linked to the sugar galactose in what's called a 2,6 configuration, and human strains of flu recognise and selectively lock onto this molecular arrangement. In birds the configuration is different and called 2,3. This difference in shape accounts for the species barrier that prevents bird-adapted strains of flu from spreading rapidly amongst humans. But H7N9 appears, the Chinese study has shown, to bind equally well to both 2,6 and 2,3 configurations of sialic acid, making a jump into humans much more likely. The new flu strain also grew very efficiently on human lung and trachea (windpipe) samples, targeting in particuar cells called type II pneumocytes, which secrete the surfactant that keeps the airways open. Destruction of these cells, which are also a target of H5N1 flu, probably contributes to the respiratory compromise seen in patients infected with H7N9. Tests on the infected tissues also showed that levels of inflammatory signalling chemicals called cytokines were equivalent to infection with H5N1, again likely contributing to the severity of the infection in humans. Finally, the team also assessed the response of the virus to the currently-available arsenal of antiviral agents. It is resistant to amantadine, one class of anti-influenza drug, but currently broadly sensitive to zanamivir and oseltamivir (Tamiflu), although the researchers caution that two reports of Tamiflu-resistant strains have already been reported in human cases. "Although no efficient human-to-human transmission has occurred," say the team in their paper in this week's Nature, "biological features we demonstrated, such as dual receptor binding preference and high growth ability, provide the H7N9 virus with higher transmissibility from avian to human." Soberingly, they go on to observe that "the threats of the H7N9 virus with pandemic potential should not be underestimated and intensive surveillance must be undertaken..."
When it comes to ceremonies around death - and in particular the significance of flowers - it turns out that our ancestors were not so different from us. New research from an international team led by Israeli archaeologists has now revealed the earliest human graves that show definite evidence of being scattered with flowers, dating them back to between 13,700 and 11,700 years ago. That's roughly around the end of the last major ice age. There are older burial sites around the world - in some cases from tens of thousands of years ago - but they're more commonly for just a few people, and aren't thought to be places where bodies were regularly and ceremonially buried. These burial sites are in northern Israel, next to the Mediterranean. They're known as Natufian sites and are the earliest cemeteries we know about so far. Researchers have been studying them for a while, and have found more than 450 bodies buried across a number of sites. Now a new analysis of the graves, published in the journal PNAS from Dani Nadel and his colleagues, shows that they contain impressions of a range of local plants, including herbs such as sage and mint, made in the soft mud lining that had been put into the grave. 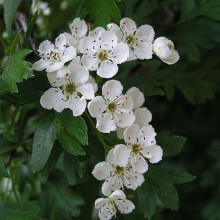 These plants flower early in the year and are prettily coloured and strongly fragranced, so probably would have been used at spring or early summer burials. The scientists also found evidence of chiselling in caves that were part of the cemetery, suggesting that burial was an important, planned and sophisticated ritual. This research tells us more about what the human culture was like around that time. Flowers are important in culture worldwide, and have a lot of emotional and spiritual meanings. At the time the Natufians lived, their world was in turmoil, as the environment was changing fast and the population was growing. Perhaps rituals like these elaborate burials helped to bring social groups together, and helped to strengthen their society - much like they still do for us modern humans today. 27:00 - Just a thank you!? 27:28 - How can I get fleas out of my hat? How can I get fleas out of my hat? Chris - I suppose that the reason the fleas escape the microwave - I mean, Mark, you're the physicist, but I'll give you my theory is that the wavelength of the waves in a microwave oven is about 12 centimetres. So, there's quite a big distance, 6 centimetres or so between the peaks and the troughs where the energy is most intense. In other words, the displacement is greatest and therefore, the heating effect is greatest. If you're something tiny like a flea, you can probably fit quite snuggly into the gaps where there are fewer microwaves and therefore, you're not going to get cooked so well and you can also move out the way. Kat - This is why with a microwave, you have to kind of keep stirring it and it has to go around and there's a lot of conduction of heat going on in the water in your food. Mark - It sounds right to me, Chris. If you have these hot spots within a microwave that are a few centimetres apart, there's plenty of room for fleas to slip in between those really and survive. Chris - Dave did an experiment about 6 or 9 months ago on the Naked Scientists where we wanted to see whether microwaving your dishcloth was a good way to sterilise it or clean it rather than have to boil it up on the hob and we found that actually, before it gets clean, it just catches fire because the salts that are in the cloth, owing to having cleaned up dirty surfaces actually end up raising the boiling point of the water there to a very high temperature and they also encourage a very high current to flow in that region. So, it does get very, very hot. So, I suspect that maybe sweat on the cap is doing the same thing and making the cap get hotter before the fleas do and therefore, the cap gets cooked into submission before the flea has a chance to get a deathly dose of microwaves. Mark - I have to wonder why you would choose to use your microwave to get rid of fleas. Is a no flea powder available? Kat - I think the only way is, it would be if you immerse. Kat - Yeah, turntable and maybe immerse the whole hat plus fleas in water. Mark - I think that's right, Kat actually. Put the whole lot in a bowl of water and microwave it and if you heat it enough, that will kill the fleas. 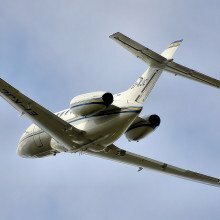 30:09 - What would a propeller plane do in space? What would a propeller plane do in space? Mark - So, if you've got a spitfire with one prop at the front, let's get over the idea that you actually need air, oxygen to burn the fuel to make the engine go around. That aside, as soon as you start the propeller going around one way, the plane itself is going to start turning the opposite way. There's going to be this reverse reaction to it. Kat - Because there's no air for it to push against. Mark - Yeah, there's no air for the propeller to push against. You might get a bit of forward motion from exhaust coming from the engine, pushing out towards the back. But overall, I think the main motion is going to be that the plane is going to start going around in the opposite direction to the prop. Chris - Dizzying ride, isn't it? Mark - Yeah, it's going to make you sick. David Southwood, President of the RAS, tells me why NAM is so important to him. What will be the last life left on earth? Bacteria, or cockroaches? The impact of astronomy can be felt across a huge range of scientific fields, but there are some questions which come around time and again, and of course one that everyone wants to know the answer to is whether there might be life on other planets. Dominic Ford spoke to Jack O'Malley James from the University of St. Andrews about his work using models of the sun to work out what the last living life forms on Earth might look like. 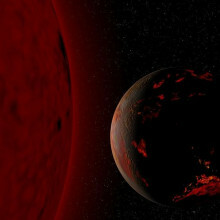 This could give us an insight into what life might look like on other planets as well. He started by asking how the sun's light will affect the Earth in the future. Jack - As the sun ages, it starts burning through its reserve of fuel and as that happens, the core of sun contracts, because it gets contracted, it heats up more and the reaction speeds up. And so, the net result is you get a more luminous star, a hotter and brighter sun. Then this has knock-on effects for the planets orbiting it, including our planet. So, the Earth is going to heat up as the sun throws out more energy towards it. So, surface temperature start increasing. So, over the next billion years or so, we're going up in luminosity by about 0.1 of the current value. But then once we get to the end of that billion years, we get to a tipping point where rapid ocean evaporation sets in. Because water vapour is a greenhouse gas, this sets in motion a runaway greenhouse effect and then temperatures really rapidly start climbing, the oceans really start evaporating and over a further billion years from that, we lose all the water vapour from the atmosphere to space and then we're left with a very dry planet. Dominic - So, how do you go about modelling the effect that an increase in the sun's luminosity has on the climate of the Earth? Jack - So, because of the timescales that we're looking at, it almost doesn't pay to have a very complex model in place. So we have a very simple surface temperature climate model which takes into account greenhouse gas values and the changing luminosity of the sun. So, it puts all these together and calculates the temperature at different points over the surface of the Earth. So, different points in latitude and this gives a rough idea of average temperatures in these particular zones, and then we sort of extrapolate that upwards as well and work out the temperature profile upwards in the atmosphere which gives us an idea of temperature change with altitude as well. Then we can start using those temperatures to work out when we start losing liquid water in certain habitats and what kind of microbes could and could not live there. Dominic - Now, I know you've been researching what impact that will have on the sort of life forms we see on Earth. Are we going to go back to an era like when the dinosaurs were around when the earth is a warmer place with more cold blooded creatures, do you think? Jack - Something like that is possible within the very early stages before we get this rapid ocean evaporation taking place. So, the other effects in terms of life that's coming into play is the increase in silica weathering. So, if you have more water vapour in the atmosphere, you have more rain and rain draws down carbon dioxide from the atmosphere when it interacts with silicate rocks and minerals in the surface. And so, if you got more rain, it would be taking away more carbon dioxide. Take away carbon dioxide, it's not really good situation for plants. So, once we start lowering carbon dioxide levels, plants starts to die off and the animals that depend on the plants also start dying off. And the most vulnerable animals are also the ones that have most recently evolved. So, the larger mammals and things like that will probably be the first to go. And so, cold blooded reptiles would have a better chance of surviving for a little bit longer, but it's a very short window of time. So, plants and animals would all be on a rapid decline into extinction. Dominic - So, if you lose the plants and you lose the animals, does that mean you're just left with bacteria and fungi? Jack - Yes, you'd end up with at first probably, a fairly diverse microbial world, similar to the early Earth in way. So, the early Earth was solely inhabited by microbes for a good couple of billion years and it would be a return to that. But then because conditions become more extreme, temperatures increase. Only the really hardy extremophile microbes will be the ones that can really survive. It's likely there'll be similarities between these and the sort of extremophiles we see on Earth today in places like Yellowstone and other sort of volcanic springs and things like that. But it's also thought that these were the very first life forms to evolve. So, the early Earth was a very hot, hostile environment and so, it's thought that when life first emerged, it emerged to fit these conditions. So, these kind of microbes were possibly the first microbes on Earth and it's possible they'll be the last as well. Dominic - I guess for search for life on Mars has in recent years become focused on what might be beneath its surface where it's thought there might be a more protected environment. Would a similar thing happen on the Earth, that if the sun was getting warmer, then life might thrive better beneath the surface? Jack - It is definitely possible. Because we lose the plants and we lose oxygen, we also lose ozone which forms a protective layer around the atmosphere that protects life from UV radiation. So, you'd expect to see a movement underground just for extra UV protection. The situation gets a bit complicated because the general trend, if you were to look at the temperature profile of the crust of the earth, as you go deeper down, temperature goes up. So, if you've very hot temperatures on the surface, you'd get very hot temperatures underground as well. So, if it's too hot for life on the surface, it will be too hot beneath the ground. But this is just a general trend and you see on Earth today, I think the deepest they found life is something like 5 km down and it depends on the particular rock type. So it's very hard to put a final lifetime on life underground, to the point where life could actually have its final refuge underground. Dominic - But I guess it's very timely because we're discovering lowest numbers of extra solar planets and it's very interesting to think about whether those might have life on them. Jack - One of the reasons we started doing this work is because if you were to look at an Earth-like planet, so you imagine an exact copy of the Earth around another star and we were to take a snapshot of this in time, either its early lifetime when life first started in the far future when conditions are not very good for quite a lot of life. You're more likely to come across microbial life on the surface than you are, the sort of rich diverse biosphere that we've got today. So, it's very useful to have an idea of what kind of tell-tale signatures this microbial world would leave behind that's different to the signatures we'd see from life as we know it on Earth today. So, it helps in the search for life in different scenarios. What can we learn from huge surveys of the sky? Dominic - So, why were astronomers suddenly so interested in these very big data sets? Is it because we're tackling difficult problems that need very large amounts of data? Andy - They certainly are examples. This happens repeatedly, but it's not new. There's always been big things, IRAS recently, WISE, the first made infrared survey. So, there's been a long tradition, but there are some problems where you just need extremely large amounts of data. It can be because the thing you're studying is physically big on the sky, like making a map of the Milky Way, looking at its structure. Sometimes it's because you simply need extremely large numbers of objects. So, the interesting modern example is weak lensing. It's trying to map out where the dark matter is by looking at distortions of galaxies caused by the light moving through the ripples of space time caused by the dark matter. Any one galaxy, this distortion is a tiny effect, but if you look in lots and lots of galaxies and see if it's systematically in the same direction and in one piece of sky, then you can figure out what's going on with the dark matter. And then to make a map with the dark matter and look at its structure, you need to repeat that in lots of positions on the sky. So, to do that, you need millions and millions of galaxies. You need to beat down the noise, get accurate measurements and to see it at all, you just need lots and lots of galaxies. Dominic - I guess, one factor has been that we've only recently have the computers that can process these huge volumes of data. Andy - That's true and in fact, the ambition of surveys and the capability of our computers are always kind of leapfrogging each other. So, I think that's always been true but certainly at the moment, the new things we're contemplating needs some pretty serious processing power. The big hope for lensing is the Euclid space mission which should be launched hopefully about 2019. It will make measurements of these distortions of galaxies from space which will be very accurate, but processing the data to eke out the information is going to be very hard work. The new thing that's exciting people is looking at the sky repeatedly to see things that change. That's starting right now. On a small scale, very bright things like SuperWASP looking for exoplanet transits and so on. At a much deeper level, Pan-STARRS which I'm working on is very exciting, looking for supernovae, for quasars doing strange things. So, you need to cover the sky repeatedly and you're looking for very rare things, so you need, for instance, to look at the sort of titled disruption events that I'm looking for in the nuclei of galaxies. They're very rare. It happens in one galaxy out of every 100,000 or maybe a million per year. So, you got a look at millions of galaxies repeatedly because one of them will go bang. It's the classic 'needle in a haystack' problem. Dominic - I guess this has been quite a big societal change in astronomy in that, it takes a lot of telescope time to do these big surveys, so you have these very big collaborations of people working on them. Andy - You do and people often worry that astronomy is becoming more like particle physics. It's all being done by giant collaborations and you have to do what the Prof tells you and so on. But for me, part of the joy of surveys is actually that - although we do have big projects and Planck was the classic example recently. With a survey, you can recreate the sort of anarchic individualistic approach that astronomers love because you get a professional team together to collect the data, make the database, make the query interface, and so on. Once you've done all that, then any smart postdoc can just get in there, have a smart idea, search through the data, find something new and interesting. So, it doesn't mean that astronomy has to be done in large faceless Stalinist teams as it were and we can keep our anarchic approach. So for me, that's very much a part of why surveys are important. Dominic - So, we're seeing from very large projects at the moment like the European Extremely Large Telescope and the Square Kilometre Array. But we also do see some smaller projects like SuperWASP which I think was really built on a shoestring. How do we know dark matter exists and how do we detect it? Catherine - So, let's think about our own Milky Way galaxy. So, we've got stars that are spinning around in our own Milky Way galaxy and you can look how fast they're moving around and you can do this in lots of galaxies as well. If you imagine a piece of string and a ball on the end of a piece of string, you can swing that ball around. Now, the faster you swing that ball around, the tighter you've got to hold on to the string. Okay, what does this mean for our galaxy? Well, the ball is now your stars and there's no string that holding the stars as they go round our galaxy. It's gravity. You get lots of gravity if you've got lots of mass, and we can see how fast the stars are moving around. We can roughly count how many stars there are in a galaxy. We know roughly how much a star weighs. And there just simply isn't enough gravity in our galaxy to keep those stars going round. They're just moving too fast and so, that means there must be extra mass there which we call dark matter to keep those stars going around. If there wasn't a big halo of dark matter around our own Milky Way galaxy, all the stars would just simply fly out into the universe. Dominic - Now, I know you're using a technique called weak gravitational lensing to probe dark matter. How does that work? Catherine - Einstein had a wonderful theory of general relativity that told us that mass bends space and time. Now, what that means is that if we look at light from the very distant universe, as it comes towards us on earth, it doesn't travel in straight lines. It gets bent by gravitational potential of the matter. So, we've got lots of dark matter in between us and the distant universe. The light's coming towards us from the distant universe, it gets bent and distorted by the dark matter, and what that does is it leaves an imprint on the images of very distant galaxies. You can imagine it like dark matter just leaving a signature on images of the distant universe, "I was here." What it looks like to us on earth, is it looks like the galaxies are kind of lining up with each other. And so, that's the signature that we look for and when we see lots of galaxies all lining up with each other, what we infer is that there's been some dark matter in between us and them that's bent the light to make it look like these galaxies are lining up. We can use this to tell us where the dark matter is and how much of it there is, and that's the technique that we've used to map out dark matter on very, very large scales in our universe. Dominic - So, is the idea here that if these galaxies were all lining up in the same orientation, there's got to be either some cosmic conspiracy which means those galaxies were all in the same orientation or there's some physics that's making them look that way. Catherine - So, there is an effect that if you have two galaxies that are actually physically close to each other in the universe, when they form, they will tend to line up with each other, and we have to account for that as well. But what we do is we look at galaxies that even though they look like they're close to each other on the sky, they're actually physically very distant. And then we know that they can't possibly know about each other, so they can't possibly be lined up with each other. So, if we see an alignment, we know it has to have been caused by some intervening dark matter in between us and those galaxies. Dominic - Dark matter has been in cosmology for what? It must be 80 years since the work of Fritz Zwicky. This must be quite a well-tested theory by now. Catherine - It is a very well tested theory and there is lots of evidence out there to show that there is dark matter in our universe. Some would say an overwhelming body of evidence supporting this theory of dark matter. The question is now, what on Earth is it? So, we know that it's weakly interacting, we know that it's cold, but nobody has detected the particle yet. So, there have been some exciting new developments in the UK recently where a new consortium of all of the particle physicists who were involved in this type of research have joined together to support a new project called the LUX ZEPLIN detector. It's going to be 9 tons of xenon deep under the ground, I believe in South Dakota, 5,000 feet underground and the hope is, that one of these weakly interacting mattered particles will collide with a nuclei in this big detector, some electrons will be emitted and they'll be detected. And that's the hope that we'll actually be able to detect one of these particles and construction on that project begins next year. Dominic - So, that's what they call astroparticle physics where you're looking for the particle which makes up this mass that we can't see, this dark matter. Catherine - Exactly. So, as astronomers, we work on mapping the dark matter and using simulations of what the dark matter particle might be to predict what our observations should look like. At the moment, this theory of the cold dark matter particle, the simulations that we have of the universe with that theory match our observations. Now, we know that we've observed this type of dark matter, can we actually go and detect it? And it's really, really tough. As astronomers, we detect it through its gravitational effects. The particle physicists are trying to detect it through an actual reaction which is really challenging to do. Dominic - And I guess on the astronomy side, are you looking to push these weak lensing surveys further? Catherine - Exactly. So, we've just finished a big project called the Canada-France-Hawaii Telescope Lensing Survey. So, you can check it out on www.cfhtlens.org and you can see all of the exciting results that we've done with that survey, mapping out dark matter on the largest scales ever seen before. And now, we're moving on to a new project. 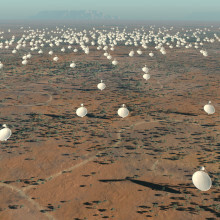 It's a European Southern Observatory Project called the Killer Degree Survey or KIDS and that's going to be 10 times larger than the current project that we've worked on. And that's going to allow us to map out even more dark matter and see how dark matter is affecting the galaxies in our universe. We believe that dark matter dictates where and when the galaxies form, but we want to understand more about that. With his own telescope Tom Boles has personally discovered more supernovae than any other human in history. But how has he done it? Most of the delegates at the National Astronomy Meeting are professional researchers based at the country's universities and observatories, but there were also a few amateur astronomers there too. Tom Boles holds the world record for having personally discovered more supernovae than any other individual in history, all from his home in Coddenham in darkest Suffolk. Dominic Ford asked him how he feels about holding the record. Tom - I don't know if that should be a scientific challenge or not. I think some of it's down to sheer stubbornness and, just keeping repeating doing the same thing all the time. 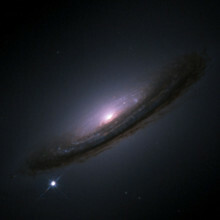 Yes, I've discovered 152 supernovae to date and I hope that some of those have been use to somebody at some time. I know it's certinaly generated a lot of papers, couple of them I've co-authored myself, but yeah, they have been used to perhaps calibrate bigger surveys and more important work further along the field. Dominic - How do you go about hunting for supernovae? Tom - Well, you just keep looking. You just take hundreds and thousands of pictures and you compare those with archived images that you have on your hard drive in your computer and you just do it over and over, and over again. It sounds boring, but it isn't because obviously, you know every galaxy is different, the shape of every galaxy is unique, and when you see the same old friends coming around year after year, it does stimulate you and that's partly where the motivation comes from. If it was only discoveries that motivated you, you'd give up very, very quickly. You'd just get bored. I guess it takes me roughly 4,000 images for every discovery I make. So, that works out at about 120 hours walk at the computer, by the telescopes to get one discovery. So, considering the number of clear nights we get in the UK that wouldn't last very long. Dominic - So, are you working down a list of nearby galaxies which are close enough that a supernovae in those galaxies would be bright enough for you to see? Tom - Yes, that's basically the idea although I don't differentiate between say, type 1 and type 2. Type 1 is, I can see a bit farther away than the type 2s because they're optically brighter. 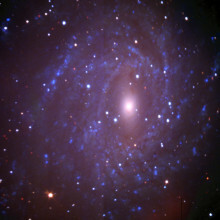 At the end of the day, I just goout for as far as I hope to see supernova in galaxies. At the moment, I've got just over 12,000 galaxies on my list. So, over the period of 12 months, I get round the whole sky and I just keep imaging the same galaxies over and over again until I get a result. Dominic - And I guess you've turned this into quite an industry. Is it three telescopes you've got? Tom - I've got three telescope, yeah and I run typically 60-second integrations using rather sophisticated CCDs. I use back-illuminated coal CCDs now, so I've got research grade cameras, and I get about 135 images an hour. So, start building those up over the winter months, that would produce several thousand images to check overnight. So, actually taking the images is the easy bit. Checking them and eliminating them for supernova suspects is the hard bit. Dominic - I'd imagine that must drive you insane, looking at these thousands of images, trying to find supernova candidates. Tom - That's the fun bit, isn't it? I mean, there's no point of taking the image if you don't look at them. I'll tell you what's really funny. I've been doing it now for 15, 16 years and I can actually spot proper motions and stuff with the images between the archive images I've got and the fresh images I've taken in any night. If you look at it, you might think you've discovered an asteroid in there, but it's actually a star that's jumped across in half a minute. And it's quite motivating to see how the sky changes over a very long period as well. Dominic - You're planning to keep up this work or is there competition from surveys like Pan-STARR starting to become too much? Tom - Well it's not so much Pan-STARRs but you know, they've put this big CCD camera on the Schmidt telescope and that is really cleaning up the skies quite well. So yeah, the big surveys are becoming a big challenge. I've still got the edge I think because I'm perhaps a little bit more flexible than them and I can move around the sky a lot easier. How long that'll last for? I don't know, but I'll keep doing it until the results dry up. But it's getting tougher. 56:29 - Would you explode, or freeze, in space? Would you explode, or freeze, in space? Hannah - In the vacuum of space where it's a low pressure, water boils at a lower temperature. It expands, creating gas and this could possibly cause you to explode or if you're sitting in the Earth's orbit, you'll eventually end up at about 4 degrees Celsius in the sun. 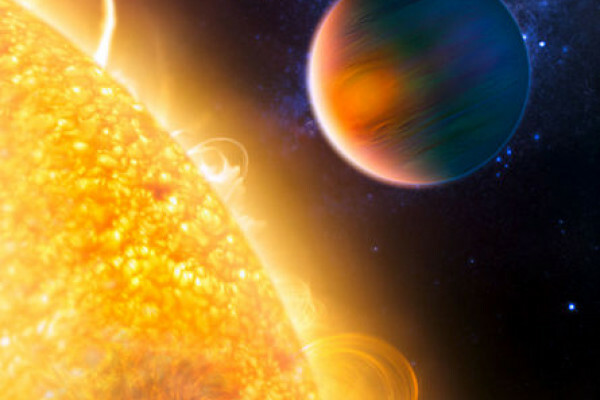 If you're in-between galaxies however, with no stars or hot sun around you, you'll end up about minus 270 degrees Celsius. So, let's firstly do an experiment to find out what would happen to our blood in space. I visited Dave Ansell, putting a glass of water as a substitute for blood into a pressure chamber to recreate the low pressure in space. Dave - So, we're now at about a quarter of atmospheric pressure and you can see small bubbles starting to form. Hannah - The vacuum chamber is actually misting up with all of the water that's evaporating from the tumbler and water is then condensing on the cooling tubes. Wow! There's just been an explosion, I think. Dave - Biggish bubble coming up which has sprayed water. So, this is what would happen if you had a glass of blood in space. It would boil, but a human isn't a glass of blood. Your blood is surrounded by blood vessels and tissue, so whether that means the blood will boil is another question. Hannah - So, how can we test that? I'm not putting myself in a vacuum chamber. Dave - As a better model of a person being in space to a vacuum, I have a nice succulent oven ready pigeon. I've now put that in the vacuum chamber. Hannah - Oh! I can see the skin popping. There seems to be like kind of air bubbles coming out of the skin. Dave - So, the skin is actually being lifted slightly by water vapour, and other gases trapped underneath it and they're expanding as the pressure outside it is reducing and it's lifting some of the skin off. That might rupture some blood vessels near the surface, but the skin itself is one solid piece. It's not really exploding. Hannah - A pigeon isn't a perfect model for a human as it's been mostly bled and has had its head cut-off, and skin damaged by plucking. But these results do seem to suggest that our circulation and tissue can, to a large degree withstand the low pressure of space. Dave also adds. Dave - Various experiments have been done on this deliberately and less deliberately. Various animals have been exposed to vacuum and they don't explode, they have various tissue damage, and possibly our eardrums will get damaged if the depressurisation is very quick. But their body's plenty strong enough to contain that pressure. And in fact, even a person has been accidentally exposed to a vacuum and he survived the experience. Hannah - So, we'd probably asphyxiate and dry out rather than explode and I'll be having a slightly desiccated roast pigeon for my supper this evening I think. 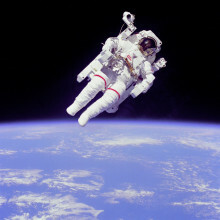 Next Explode or Freeze first in Space?